Alex Rodrguez broke open a pitchers' duel in the seventh inning with a grand slam following an intentional walk of Mark Teixeira. He is now 5-for-5 with 18 RBIs when opposing teams walk Teixeira to load the bases and it was his 20th career grand slam to give him sole possession of third place on the all-time list. Andy Pettitte pitched seven innings of one-run ball en route to his seventh win of the year, an 11-2 thumping of the Indians. Best of all: A-Rod's six RBIs. He now leads the team with 41 with Robinson Cano, who hit a solo shot after A-Rod's granny, trailing by one. 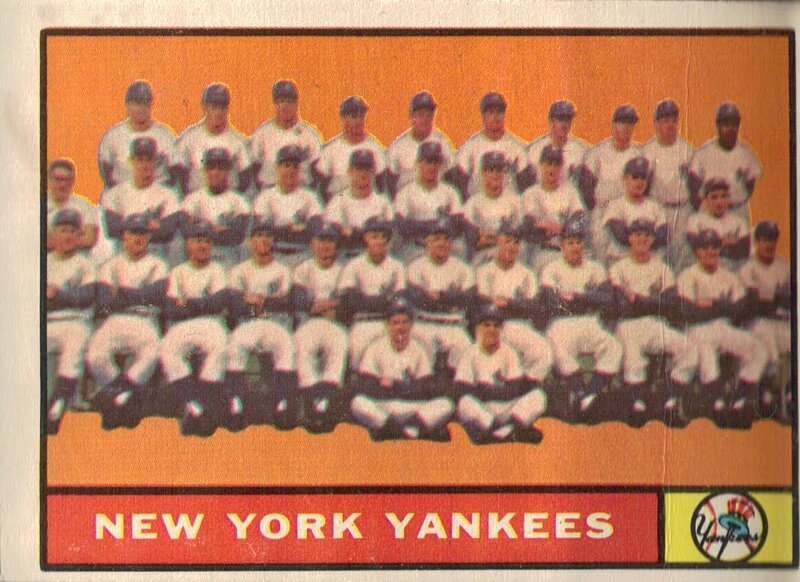 Every Yankee starer had at least one hit and combined for 18 as a team. Worst of all: Chan Ho Park walked a hitter with two out in the ninth. The walk snapped a streak of 65 batters faced without a walk. Coming up: The Yankees start a three-game series with the Orioles on Tuesday night. I'll have a series preview posted, as usual. Although, I haven't quite figured out the Internet in my new apartment. I should be able to figure it out. Of all the great catchers in the Yankees organization, fans have voted Francisco Cervelli, the only one currently with major league experience, the catcher who has a long future ahead with the Yankees, securing 50 percent of the vote. Notables following Cervelli in the polls were Jesus Montero (23 percent) and Austin Romine (20 percent). Just four percent voted none of the Yankees catchers will have a long future with the team. At this point in time it may seem like Cervelli is the future, but a simple background check might sway voters’ minds. Cervelli wasn’t even regarded as a top prospect when he was in the minors. Hitting under .250 with Trenton last year, Cervelli was the most qualified to be called up when a third-string catcher was needed. Montero and Romine are considered two of the top prospects in the organization. Some scouts believe Montero will wind up a first baseman or DH because of his below-average catching, but most will tell you his bat is major league ready and is comparable to Miguel Cabrera. Montero is with Triple-A this year, hitting a mere .238/.315/.371. Romine is off to a flying start in Double-A with a line of .324/.383/.486. Jorge Posada is 38 years old but is having one of his best years in the majors thus far. He is signed just through next year, but I wonder if he’ll get an extension to play solely as a DH/backup catcher. 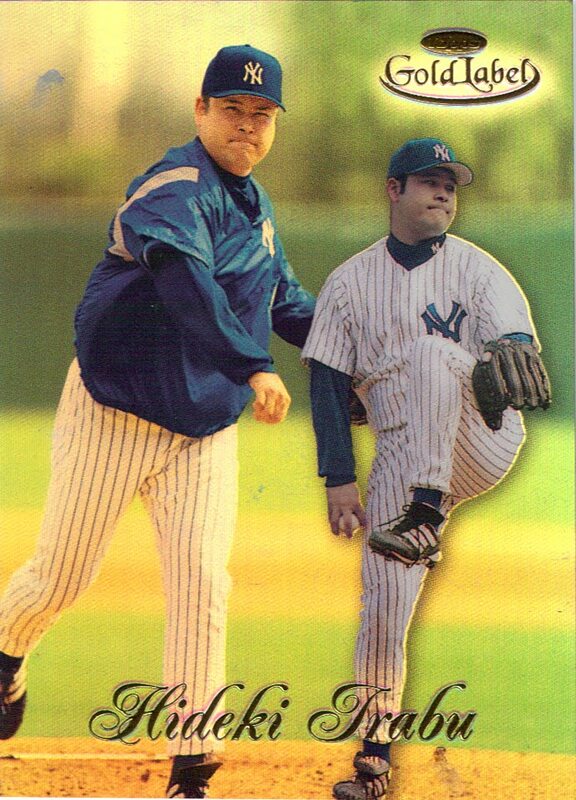 The Yankees already have plenty of coaches with catching experience. Just ask Tony Pena or Joe Girardi. My vote went to Montero, as I can’t remember the last time the Yankees have had such a highly touted catching prospect. I have to be worried about his defense, but, then again, he’s only 20 years old and scouts say his arm has shown improvements already in 2010. The Yankees organization has plenty of guys to teach him the tricks of the trade to catching in the majors. Next poll: Who will finish the year with more wins? This batch of Yankees notes has updates on the the Yankees’ plans for the trade deadline, Curtis Granderson’s return, Jorge Posada’s injury, Nick Swisher’s personal life, the Yankees upcoming schedule and a few impressive individual performances. Jon Heyman, the guy you want to follow on Twitter for trade rumors, tweeted the Yankees plans this summer. They’re looking for two things, he says. A bat to replace for Nick Johnson and a reliever. I certainly agree with acquiring a new reliever, one that actually lasts full seasons on the same team, perhaps. But replacing Johnson is a different story. He’s expected back by early July, so are the Yankees planning on acquiring this new bat in June? Or are they planning to deal Johnson in exchange for a bat at the deadline? As far as I’m concerned, it’s a little early to thinking about trade rumors. I couldn’t even tell you who the key guys on the market are. I’m not sure if anyone could! Juan Miranda/Marcus Thames, Kevin Russo, Ramiro Pena and Chad Moeller. Jorge Posada played catch yesterday and could be hitting off a tee soon, Joe Girardi said, according to Chad Jennings. It sounds to me like the Yankees starting catcher could be back in a week and a half (solely my speculation). Nick Swisher is engaged. The lucky lady? An actress on a show I’ve never heard of “Privileged.” Her name is Joanna Garcia. Check out the link for a picture of the couple holding their puppy. The Yankees upcoming schedule looks prettay good, as Kevin Rozell of Zell’s Pinstripe Blog points out. After three more games with the Indians, the Yanks face the Orioles twice, the Blue Jays and the Astros. Throw in an off day in the middle and at the end to put the cherry on top. Robinson Cano stepped into the cleanup spot for the first time in his career last night, and he delivered. (Alex Rodriguez was given a full day off because he was due for a day off, Jennings said. Francisco Cervelli got one too). Cano is clearly the team’s MVP up to this point, and is making a case for league MVP — a race I’ll be following as long as the Yankees have a candidate for the honor. Phil Hughes collected his sixth win last night. Between him and Andy Pettitte, the dynamic duo combine for a 12-2 record with a 2.66 ERA and 93 strikeouts this year. Very impressive. Lots of good news here for the Yanks. Be sure to check out my plans for maintaining this blog over the summer and this post I made highlighting the craziness that the Yankees have dealt with so far in the 2010 season. Trust me, it’s a fun post. I knew it! The Lenny-Fletch tandem improved to 3-0 with tonight’s 8-2 win over the Indians. Nick Swisher’s two-run shot in the second gave the Yankees the early lead, and Robinson Cano’s seventh-inning grand slam put the game away to preserve Phil Hughes’s sixth win. This was the fourth Yankees game I attended this year. You must understand: I was born and raised in New Hampshire. I went to one game — two if I was lucky — per year for at least 10 years. Now I feel like I know my way around Yankee Stadium better than I do New York. But hopefully that will change this summer, as I’ll be interning for a small digital marketing agency called eic. I’m receiving academic credit at Quinnipiac University, where I’ll be a junior this fall. The internship is full-time, and I start Tuesday. On top of that, I’m taking a digital design course online which lasts for the next month or so, so I can, you know, graduate on time. Let’s just say, I’ll be busy this summer. But I’m not about to put down this blog for the summer. To be honest, I don’t think I could. It’s kind of addicting. As long as I excel in both my commitments and have some extra time on my hands, you’ll have your Yankees daily news and analysis. Add this video to the long list of crazy happenings in Yankeeland this year. April 28: Yankees are NOT the most hated team! Javier Vazquez allowed five runs, eight hits and a lot of hard-hit outs against the Twins, and Jason Kubel drove in five runs on two long homers to propel the Twins to an 8-2 win over the Yankees. Best of all: Derek Jeter, Mark Teixeira and Robinson Cano had two hits apiece. Cano drove in both of the Yankees’ runs. Worst of all: Vazquez. I guess two good starts in a row is his max. Also, the bullpen is in trouble. Chan Ho Park and Chad Gaudin looked awful and were awful tonight. Damaso Marte, the lefty specialist, was brought in after lefties Joe Mauer and Justin Morneau hit in the seventh. With Alfredo Aceves possibly out for the year, the bullpen is going to need some help. Coming up: The return of Curtis Granderson! He’ll be in the lineup — we don’t know where yet — to start a series against the Indians in The Bronx. Tom Tresh played for the Yankees for seven full seasons, was named Rookie of the Year in 1962, a two-time All-Star and a Gold Glove winner. 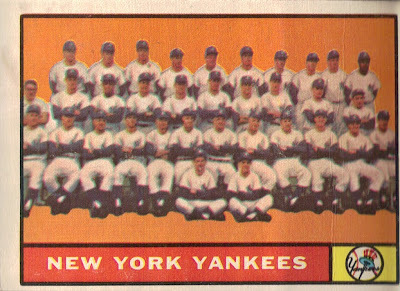 The Yankees won the World Series in his rookie season, thanks in large part to Tresh, who hit .321 with a homer and four RBIs. 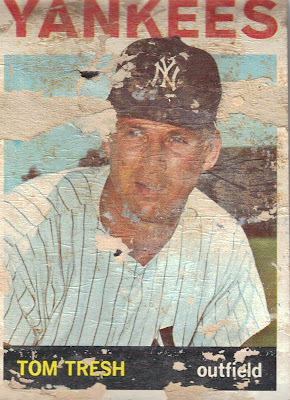 As you can see, this is the most damaged card I’ve posted in this series and is one of the most damaged of the entire collection. Although it greatly diminishes the book value of the card, I still like the feeling of holding a card that barely made it. **Sorry this is a day late! I'll be back to usual Wednesday's schedule next week. George A. King III of the New York Post reported last night Alfredo Aceves could miss the rest of the season if he needs surgery to repair a bulging disc. Chad Jennings reported this morning that the Yankees are still waiting on a team doctor’s examination from Wednesday. Aceves suffered a setback on Tuesday and was eligible to return from the disabled list this week. If he is out for the year, the Yankees will rely on Chan Ho Park, Sergio Mitre and the recently acquired Chad Gaudin for long relief help. Boone Logan was sent back down to Triple-A to make room for Gaudin. Roy Oswalt wants out of Houston, but suitors have been hard to come by. The Yankees, who most feel are one of the few teams who could even afford his outrageous contract, are content with their starters, according to an official, which makes them unlikely to pursue Oswalt in a trade. The ace of the staff has actually been the team’s worst pitcher as of late, turning in two rough outings in his last three starts. He hasn’t won since May 3, but was robbed of one on May 8. Burnett earned a win yesterday without even pitching! OK, it was a continuation from the day before when he threw five scoreless innings, but still, it was a pretty cool feat. He got roughed up against Tampa Bay and Boston this month, but he’s handled weaker offenses — the rest of the American League — without any difficulties. The 37-year-old Pettitte is pitching like a 27-year-old. He’s off to the best start of his career and is currently the team’s best pitcher. His only loss came to the Rays, the killer Rays, on May 20, but he’s only allowed three runs combined in his other three starts this month. A 6.69 ERA is atrocious, but it’s better than 9.78. Vazquez has earned wins in each of his last two appearances and has allowed just two runs in his last 13 1/3 innings. If he hadn’t pitched those quality efforts, he might not be in the rotation today. But he is, and he’s pitching tonight to try and complete the sweep of the Twins. Not bad for a fifth starter, right? He was considered the AL Cy Young Award leader last week and remains in close contention for the honor. However, he has returned to reality in his past two starts against the Red Sox and Mets, as his ERA has nearly doubled from 1.38 to 2.72. Still, a sub-3 ERA isn’t too shabby for a fifth starter and a guy who could’ve started the year in the bullpen. Not much room for Oswalt, is there? Andy Pettitte pitched eight strong innings and Nick Swisher broke a 2-2 tie with a solo jack in the ninth and the Yankees held on for a 3-2 win over the Twins to clinch another series win . Best of all: Mariano Rivera closed for the second time in four hours and looked better than his first appearance. All of his pitches were right to the glove and no ball made it out of the infield. Worst of all: Not much. Alex Rodriguez and Francisco Cervelli combined to go 0-for-5, but Cervelli walked twice and A-Rod walked once. Coming up: The Yankees look for the sweep Thursday night at Target Field. Nick Swisher clearly yelled out the F-Bomb in the fifth inning of today’s game against the Twins, and the YES Network left their mics on. I’m not sure if ESPN2 made the same mistake, but I doubt it. Swisher had grounded out to third after Derek Jeter’s leadoff double, and Jeter was left stranded. Chad Gaudin has rejoined the Yankees in Minnesota today to help complete the one-and-a-half header, according to Mark Feinsand. Gaudin had a rough spring training with the Yankees, allowing 10 earned runs in 11 1/3 innings. But he was even worse for the Athletics this season, allowing 17 earned runs in 17 1/3 innings. This addition may be directly correlated with Alfredo Aceves, who suffered a setback in his rehab yesterday, and perhaps Chan Ho Park too, who has been awful since returning from injury. Lately, the only stable forces in the bullpen have been David Robertson and Sergio Mitre. We’ll see today if Gaudin can eat up some innings without completely blowing a game. Tonight’s game suspended, will resume tomorrow at 5:05 p.m.
After five innings of scoreless baseball, precipitation delayed a Twins game for the first time since 1981. The game was suspended after nearly an hour and a half of waiting and will pick up in the sixth inning on Wednesday at 5:05 p.m. ET. If the game goes longer than expected, it will be interesting to see ESPN2’s coverage, as they have Game 2 of this series (originally scheduled for 7:10 p.m. ET). It’s too bad rain interfered tonight. Both pitchers, Scott Baker and A.J. Burnett, were really dealing. I suspect Sergio Mitre will take over for the Yanks tomorrow. The Yankees are coming off their worst week of the season and have won four of their last 10, but so have the Twins. The last time they met, last weekend, the Yankees won the first two games convincingly before the bullpen blew a 3-1 lead in the finale. Fact is: Joe Mauer and Justin Morneau are still crushing the ball and are even more menacing at their new home, Target Field. Yankees: Mark Teixeira. He hit .500/.538/.833 last weekend against the Twins, facing the same three starters. Sounds to me like he’s ready to get back on a hot streak. Twins: Denard Span. The Yankees did a good job keeping him off the bases last series, where he can really be a pest. Although the Twins are at their new home, you can’t go against the overwhelming favorites in the recent history of this matchup. Maybe this time the Yankees will be able to complete the sweep. The popularity contest, also known as the All-Star Game, released its first balloting totals for the American League today. Yankee infielders Derek Jeter, Mark Teixeira and Robinson Cano are the leading vote-getters at their respective positions. If you’re wondering, Alex Rodriguez is trailing Evan Longoria by more than 100,000 votes and Curtis Granderson is a mere 1,324 votes behind Josh Hamilton for a starting outfield position. The sad truth is, Jeter, Teixeira and Granderson shouldn’t be close to contending for a spot on the All-Star roster. Cano might be the only one deserving of a spot, but Ty Wigginton should be right up there too, in a perfect world. Feel free to dispute my picks in the comments. The results in my latest poll were very definitive, showing Curtis Granderson is missed far more than Nick Johnson. Although I think Johnson’s value is underappreciated, I can certainly understand why fans miss Granderson. When both were injured in a seven-day span, they were expected to return by early June. That estimate has changed. Granderson should be back by the end of this week and Johnson was transferred to the 60-day DL and won’t return until July at the earliest. Some fans wonder where Granderson will find himself in the lineup when he returns. Will it be in the two spot, or back to the bottom of the order? I think it depends on how the team fares this week against the Twins. If Brett Gardner starts racking up those infield hits and stolen bases again like he did in April, he shouldn’t be going anywhere. But if he continues to stumble below a .300 BA, we might see Granderson take over. Next poll: Which catcher has a long future ahead with the Yankees? Well, technically, he could be 0-for-23 in his last 23 at-bats instead of 1-for-23, but who’s counting anyway? … Only every single Yankee fan is counting. Mark Teixeira is struggling in May, which is more like a nightmare for a player who is known for bad Aprils and great Mays. Here’s what he told reporters after last night’s loss and 0-for-4, three-strikeout night. Ahh. This is painful. The Yankees No. 3 hitter is in an awful slump and he has no idea what he’s doing wrong or how to solve it. If the rest of the lineup steps up in his place, and the team starts winning, everyone will forget he is slumping and he will be under less pressure to perform. It sounds easy, but winning solves everything. The fact is, the Yankees are about to complete one of the toughest weeks of their season, and it gets easier after tonight. Win or lose, it hopefully will be a good game with two of the best lefties of this era going head-to-head in the decisive game of a Subway Series. The Mets evened the series with a 5-3 win on a strong pitching performance from Mike Pelfrey, while Phil Hughes was hit with his first loss of the year. Jason Bay led the charge for the cross-town rivals with four hits and Yankees Nos. 4-8 hitters combined to go 10-for-21 but with no RBIs. Best of all: They didn’t go quietly. Trailing 5-1 in the eighth, the Yanks loaded the bases with nobody out. They only plated two in the frame, but threatened again in the ninth with two men on base against closer Francisco Rodriguez. Worst of all: Hughes got knocked around. He wasn’t completely ineffective, as shown by his seven strikeouts, but eight hits and three walks won’t suffice in a tough pitching matchup. Plus, the Mets didn’t miss their chances to score (except for the fifth). Coming up: The series finale should be a good one. Sunday Night Baseball on ESPN with two southpaws: CC Sabathia and Johan Santana. Nobody guessed in the beginning of the week that Javier Vazquez would earn the only two victories so far, but that’s what happened. Vazquez threw one-hit, shutout ball against the Mets for six innings before leaving with a bruised index finger while trying to bunt in the seventh inning leading 2-0. The bullpen, backed by Joba Chamberlain and Mariano Rivera, closed out the game for a 2-1 win. Best of all: Vazquez was really a pleasant surprise looking at the box score from my phone at a Broadway show. Even against the struggling Mets offense, six strikeouts and three base runners allowed for six innings is great work. Utility player and recent call-up Kevin Russo drove in both of the Yankees’ runs on a double to right field. He also had a single and played left field. Good to see from a promising player. Worst of all: Mark Teixeira. He has two hits in his last 20 at-bats. Yikes. It sounds like Vazquez will be able to make his next start (see link above). Coming up: Saturday’s game is one of the few all season played at night. It begins at 7:10 on FOX. Batting practice when I arrived. Even with the help of my presence at the stadium, the Yankees couldn’t keep pace with the Rays. The 8-6 loss was the third in a row for the Yankees and fourth in their last five. Best of all: Derek Jeter had three hits including a two-run double in the ninth. The captain was becoming a major cause for concern — and still is — but a night like this helps. The bullpen wasn’t so bad tonight either: 4 IP, 1 ER, 0 BB, 5 K. David Robertson pitched two scoreless and Chan Ho Park allowed a solo shot to Carlos Pena. Worst of all: Andy Pettitte. This was by far his worst start of the year — his first loss — as he gave up six earned runs over five innings. His ERA is still under three, but the Rays really embarrassed him, slugging three home runs. Up Next: The first Subway Series of the year begins Friday night at Citi Field. Full series preview will be posted as usual. The sad stadium as I left. I wasn’t worried about the bullpen heading into the year because I believed they had the best setup man and closer combination in the game. For most of April and early May I believe I was right. However, in the past four games the Yankees bullpen has an ERA of 11.60 in 12 1/3 innings. That figure isn’t inflated either. All four starters have gone at least five innings. The team managed one win in this stretch, and that’s only because Jonathan Papelbon broke down. For a stretch of 13 2/3 innings Joba Chamberlain only allowed runs in one game, which resulted in a loss to the Angels. Still, in that span he collected five holds, two saves and a win. In the past two games he’s allowed six runs on six hits. Something is troubling him. For a stretch of 11 innings Mariano Rivera didn’t allow a run, collecting seven saves in the process. In his past two appearances, he’s allowed four runs (two earned) and picked up his first blown save and a loss of the year. What’s wrong with him? Boone Logan has allowed earned runs in four of his last five appearances. Damaso Marte has done well in May as the only other lefty in the pen, but Logan still has a spot on the roster somehow. I have no idea what Dave Eiland and Joe Girardi see in him. Ivan Nova of the Dominican and Romulo Sanchez of Venezuela have a combined 6 2/3 innings in three appearances with the Yankees. They haven’t allowed a single run, and only six men have reached base. And for some reason … neither are on the active roster. The best team in baseball showed why they were the best team in baseball in a 10-6 win over the Yankees (it wasn’t as close as the score makes it look). The Rays pitched great (except Andy Sonnanstine), hit great and ran great. That’s tough to beat, and it seems that’s the way they play every night. Best of all: Robinson Cano had four hits. And… that’s about it for the good stuff. Worst of all: The Rays stole six bases off the A.J. Burnett-Francisco Cervelli battery. Six! AND, Ben Zobrist scored from second on a sac fly in the eighth. Granted, it was a diving catch near the wall in center field by Brett Gardner, but still, Zobrist scored standing up. Even worse: Marcus Thames left in the sixth inning after spraining his ankle by stepping on his own bat after singling. Boy, with the injuries piling up like pancakes, that’s pretty embarrassing. Line of the night: Cano: 4-for-5, 2B, RBI. He’s back up to .340. Up Next: My parents and I are meeting up with Andrew Fletcher at Thursday night’s game. Hopefully Andy Pettitte can continue the best start of his career. The Rays have won four straight and hold an absurd .718 winning percentage through almost a quarter of the season, and the Yankees bullpen has blown three eighth-inning leads in a row. Fortunately for the Yanks, they won’t have to face David Price or Matt Garza — two pitchers SI’s Cliff Corcoran sees as top 5 AL Cy Young candidates thus far. They also have another thing going for them: I’ll be in attendance on Thursday, and they’re 2-0 this year when I’ve been in the crowd. Rays: Evan Longoria. My preseason AL MVP pick. He’s leading the team with a .318 batting average as well as nine homers and 35 RBIs. He’s by far the most dangerous hitter in the lineup, so he’s definitely the one guy you don’t want to be beaten by. Yankees: Alex Rodriguez. All the sudden, the cleanup hitter is hitting .290. He still only has five homers so far, but he also has nine two-hit games this month and has been very clutch. Trust me, the power stroke will come soon enough. It’s only a two-game series and I think the Yankees can snag both. The Yanks will need two big performances from their starters because the bullpen just isn’t cutting it right now. Burnett and Pettitte should do the trick. What we all feared would happen happened yesterday. News broke that Nick Johnson will undergo surgery on his right wrist today, keeping him out of the lineup until July at the earliest. As I’m writing this, the vote in my latest poll stands at Curtis Granderson 19, Johnson 2, for who will be missed more. People are forgetting Johnson was a valuable asset to this team because of his on-base percentage. Yes, he was hitting .167 and didn’t have too many clutch hits, but he still made a huge impact on the game because he set the table for the producers and worked the heck out of opposing pitchers. Granderson is leading this vote by such a wide margin because he hit two homers against the right team, made a few great catches and has a very likable personality. In terms of impact, this vote should be a lot closer. Do the Yankees have any other choice but to keep Brett Gardner and Nick Swisher as the replacements in the lineup? It doesn’t look like it unless Brian Cashman makes a move. After blowing a five-run lead, the Yankees trailed by two going into the bottom of the ninth against Jonathan Papelbon. The day after Mariano Rivera blew a save, the Yankees were the ones who came from behind, as Alex Rodriguez hit a two-run homer to tie it and Marcus Thames blasted a two-run shot to win it, 11-9, in walk-off fashion for the first time all year. Best of all: Javier Vazquez, whose last relief appearance against the Red Sox in The Bronx goes without being said, earned the W by striking out Kevin Youkilis in the top half of the ninth. Worst of all: The Yankees held a 6-1 lead after two innings. They should never have been trailing, especially with the emerging Phil Hughes toeing the rubber. Line of the Night: A-Rod+Thames: 4-for-9, 3 R, 8 RBI, 2 HR. Up Next: Game 2 of this two-game series is same place, same time, with CC Sabathia and Josh Beckett starting. The Yankees are walking into what should be a memorable week with a score to settle after yesterday’s unthinkable eighth inning. Seven games in seven days against the two most rivaled opponents, the Red Sox and Mets, as well as the best team in baseball sandwiched in between, the Rays. All seven games will be played in New York, starting with two two-game series in The Bronx and closing with a weekend in Flushing. Before the Yanks rekindle the rivalry with the Sox, let’s take a look at the standings in the AL East (via MLB.com). Those top two winning percentages still rank at the top for all of baseball. But with the Red Sox-Yankees rivalry, history has told us it really doesn’t matter which team is hot and which team is not. It’s like a playoff series. Any team can get their act together with the flip of a switch. The Yankees are mad because of Mo’s meltdown yesterday, but the Red Sox have lost four of six against New York this year and the ultimate Yankee killer is returning to his old form, David Ortiz. Red Sox: Ortiz. His overall numbers still don’t look that great, but he’s on a 7-for-14 run with two homers and six RBIs, reaching base in his last eight games. Yankees: Derek Jeter. The captain is in a slump, and he needs the Yankee faithful to have his back. He’s hurting, and boos aren’t going to help him break out. A big hit in this series is extra important for the psyche. This constant grounding out to shortstop nonsense needs to come to an end. How about some line drives to right-center? Fortunately for the Yankees, the Red Sox starters are not at top form as of late. Hughes should out-pitch Dice-K no matter what tonight, and who knows whether we’ll see good or bad Beckett on Tuesday. I give the edge to the Yankees for the sweep because they’re at home. Dallas Braden is living evidence that even a perfect game can’t dig you out of a hole you dug yourself in the media. In my latest poll, 63 percent of fans still do not have respect for him (and I’m sure his grandma too). I sided with the fans. Braden pitched the 19th perfect game in baseball history. It’s a miraculous accomplishment, don’t get me wrong, but it doesn’t translate to fame. Don’t believe me? Fine. Ever heard of a guy named Len Barker? That’s what I thought. He threw a perfect game in 1981. Enough about Braden and the perfect game. There is an exciting week ahead upon us. The Yankees play the Red Sox, the Rays and the Mets all in one week! New poll: Who do you miss more? Curtis Granderson or Nick Johnson? This call came on Friday night in the fourth inning when Brett Gardner launched his second homer of the year to tie the game at 1. But that’s not where I’m going with this. We did a nice job brainstorming for Curtis Granderson, and Sterling eventually used one Mr. Andrew Fletcher** thought up. Let’s see if we can do the same for Gardner, as I really think Gardner deserves a better call on the rare occasion in which he does hit a homer. If you think of better ideas be sure to leave them in the comments. **If you happen to know Mr. Fletcher, creator of Scott Proctor’s Arm, you should know he is graduating from Quinnipiac University today. You can follow the live Webcast here to see him walk. The ceremony begins at 10:45 a.m., and Bill Nye (the Science Guy) is this year’s speaker! Congrats, Fletch. And to you too, Mr. Andrew Vazzano, creator of TheRopolitans.com. These two chuckleheads introduced me to blogging, and I can’t say thank you to them enough. I’ll miss you two dearly next year. I hope both of you will be employed by the time I graduate. At this exact time last year, the Yankees epitomized their season as the “Year of the Walk-off” with three consecutive walk-off wins against the Twins. This year, the Twins are leading the AL Central with a 22-12 record, which just so happens to be the Yankees record. However, the Rays hold a two-game lead in the AL East over the Yanks. The Yankees are 10-2 at home this year while the Twins are 10-6 on the road. The Yankees are likely to go with Sergio Mitre (0-1, 3.86) on Sunday, but Joe Girardi hasn’t confirmed anything in case he has to use Mitre in relief in games 1 and 2. I’d assume Ivan Nova is the backup option if they do use Mitre in relief. Twins: M&M Brothers. With the Twins, it’s always Justin Morneau and Joe Mauer. Both are healthy and hitting well over .300. Morneau especially is having a big year, leading the majors in OPS (1.138). Yankees: Francisco Cervelli. It’s time the backup catcher got some recognition. He’s hitting .408/.482/.490 and is 9-for-12 with runners in scoring position! This guy will approach 300 mini fist-pumps at this pace. This is a big series for both teams. The Twins are really going to want revenge after last year’s ALDS and the Yankees are playing a little shorthanded. Saturday’s southpaw showdown is a must-watch if you ask me. In the end, I say the Yankees take two of three. Here’s the first of many regular season update on some of the key Yankees who left the team this offseason. Austin Jackson: He’s still the league-leader in at-bats and hits. However, he also leads the league in strikeouts and hasn’t shown much production and/or power (as expected by Brian Cashman). Hideki Matsui: He’s gone downhill ever since Opening Day. He’s got four hits in 36 at-bats in May. This comes as a surprise to me, as I expected his bat to stay consistent. Also: he has played four games in left field so far — his first time in the field since June 15, 2008. Ian Kennedy: The numbers don’t lie, he’s been a quality starter for Arizona this year. What’s his worst is Curtis Granderson, the player he helped acquire, has been resting on the DL this month and is off to a slow start. Chien-Ming Wang: He hasn’t pitched yet this year. The latest update came yesterday afternoon from the Washington Post. The Nationals are targeting a July debut for Wang. While the Yankees are battling for tops in the AL East, prospects in Double-A and Triple-A are looking to show they are ready to compete at the big league level. With Juan Miranda called up yesterday, the Yankees have now promoted seven players five weeks into the season. The farm system always makes an impact on the parent club because every team has to battle injuries and cold streaks. Here’s an update on some of the top hitting and pitching prospects in the top levels of the organization. Jesus Montero C: Montero is far and away the Yankees top prospect, as some scouts ranked him the best hitter in the entire minor leagues heading into the year. Sadly for him, he hasn’t quite lived up to the high bill. He currently owns a .233/.295/.359 hitting line with just two homers and 13 RBIs in 103 at-bats. He also was benched last weekend for not running out a groundball. I don’t think it could get any worse for the 20-year-old catcher, who is yet to prove he can play the field at a high enough level. Mark Melancon RHP: Melancon was called up in the beginning of May, but only for one less-than-spectacular performance. But he has continued to thrive in Scranton, posting a 4-1 record, a 3.00 ERA and a 1.24 WHIP in 21 innings. Jon Albaladejo is having a great year so far, better than Melancon’s, but Melancon is still the much better prospect. Austin Romine C: Romine, another good catching prospect, came out to a roaring start for the Thunder in 2010. At one point he rode a 16-game hitting streak to a .337 BA, but has slowed down a little bit to a .304/.377/.480 line. He’s known more for his defense, but it’s great to see his production and percentages improve. If Montero gets promoted at some point this season, Romine will surely be his replacement at Triple-A. David Phelps RHP: Despite not being ranked in the top 10 of any well-known Yankee prospect lists, Phelps has been the Thunder’s top starter by a long shot. In the Eastern League, known for its quality pitching prospects, Phelps currently ranks second in ERA at a miniscule 1.60 tagged with a 0.98 WHIP. Since you probably haven’t heard of him, his arsenal features a low 90s fastball and a curveball. Here’s a link to a video of his windup.